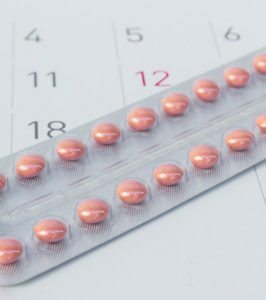 Approximately 4 to 7 weeks after the start of the LMP (Last Menstrual Period) This drug is only approved for women up to the 49th day after the start of their last menstrual period. The procedure usually requires three office visits. On the first visit, the woman is given pills that cause the death of the embryo. Two days later, if the abortion has not occurred, she is given a second drug which induces something similar to contractions, causing the body to expel the embryo. The last visit is to determine if the procedure has been completed. The abortion pill will not work in the case of an ectopic pregnancy. An ectopic pregnancy is a potentially life-threatening condition in which the embryo lodges outside of the uterus, usually in the fallopian tube. If not diagnosed early, the tube may burst, causing internal bleeding and in some cases, the death of the woman. Unfortunately, many women are being instructed to use the abortion pill in a manner not approved by the FDA. This includes using it beyond 49 days of pregnancy and using it vaginally. A number of women who have used the abortion pill have died due to sepsis (full body infection). If you have started a Chemical Abortion and you have changed your mind an Abortion Pill Reversal can be done within 48 hours of taking the first Mifepristone. 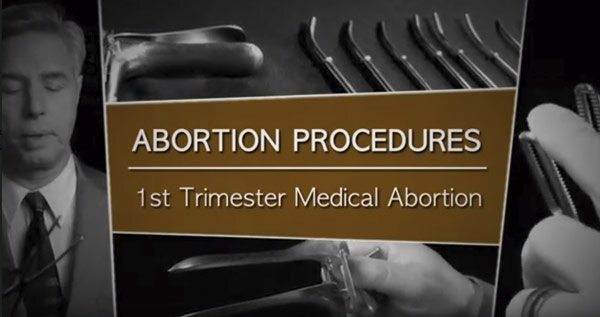 First trimester surgical abortions are performed between 6 and 12 weeks. As opposed to a medical abortion performed with drugs, a surgical abortion requires a surgical procedure. See below for a detailed description. 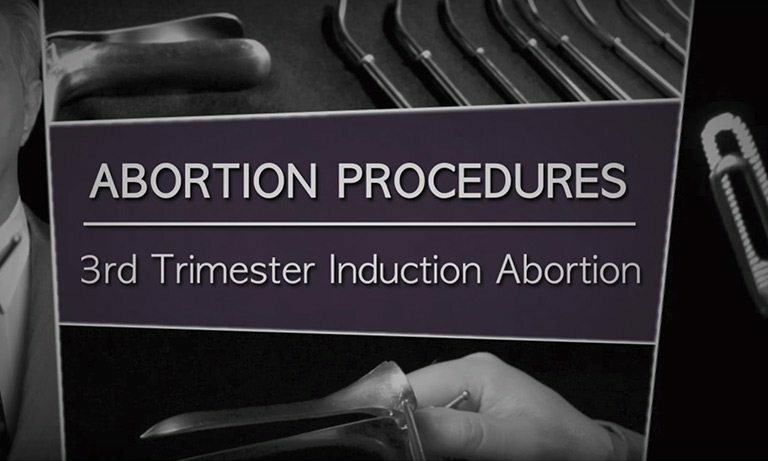 Surgical abortions during the second trimester performed between 12 and 24 weeks. See below for more information. 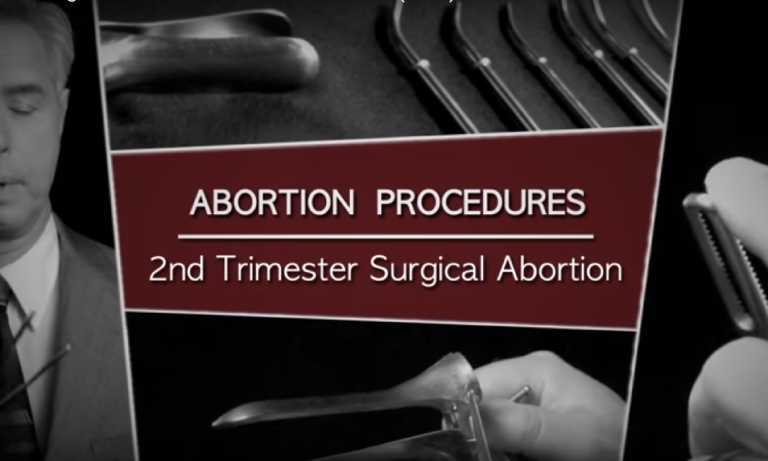 This surgical abortion is done during the second trimester of pregnancy. At this point in the pregnancy, the fetus is too large to be broken up by suction alone and will not pass through the suction tubing. In this procedure, the cervix must be opened wider than in a first trimester abortion. This is done by inserting numerous thin rods made of seaweed (called laminaria) a day or two before the abortion. Once the cervix is stretched open the doctor pulls out the fetal parts with forceps. The fetus’ skull is crushed to ease removal. A sharp tool (called a curette) is also used to scrape out the contents of the uterus, removing any remaining tissue. 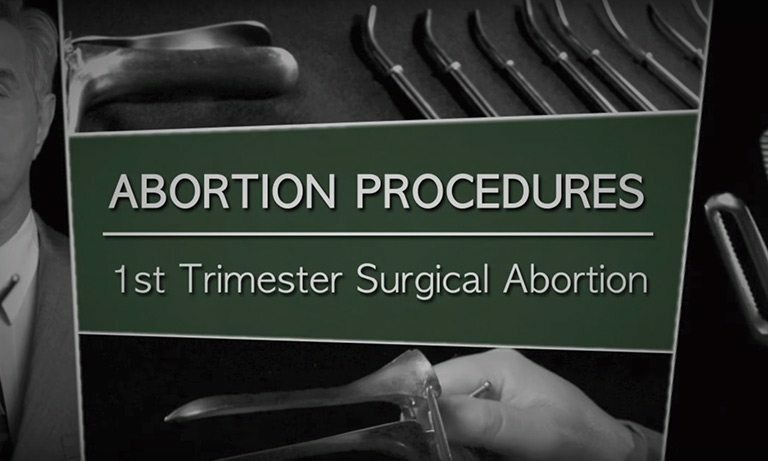 Surgical abortions performed in the third trimester occur after 24 weeks up until full term. See below for more information. These procedures typically take place over 3 days, use local anesthesia and are associated with increased risk to the life and health of the mother. On the first day, under ultrasound guidance, the fetal heart is injected with a medication that stops the heart and causes the fetus to die. Also over the first two days, the cervix is gradually stretched open using laminaria. On the third day, the amniotic sac is burst and drained. The remainder of the procedure is similar to the D&E procedure described earlier. An alternative procedure involves inducing labor. Abortion is a serious and permanent choice… So, know all the facts BEFORE you decide. We are here for you.